We are excited to announce the release of the New and Innovative KT 50Amp DC Power Link. An Innovative omnidirectional, 50Amp Power Source suitable for 12V and 24V applications. 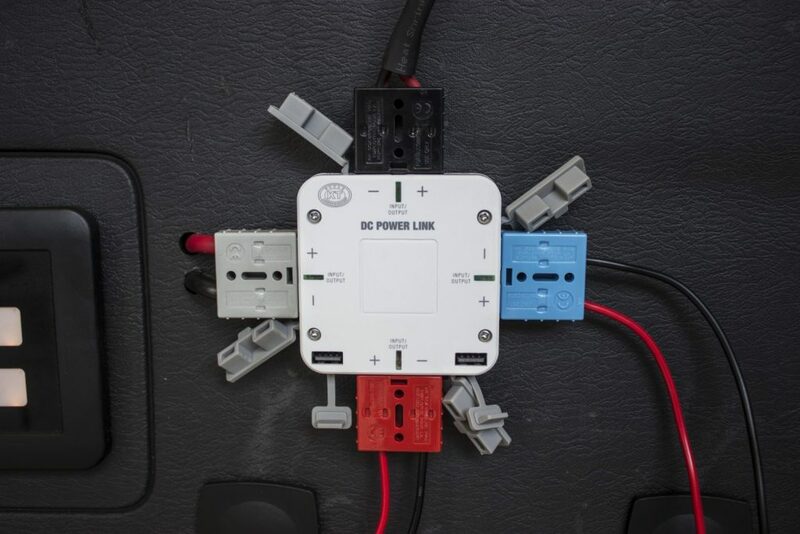 Design Registered, and designed by KT, The DC Power Link is a completely unique product and design within the marketplace, designed to make Off-Road 4X4 Adventures, Camping Trips, and Caravanning Trips easier when it comes to supplying power to your devices including Batteries, Fridges, Solar Panels, Lighting, Compressors and other 12/24V applications. 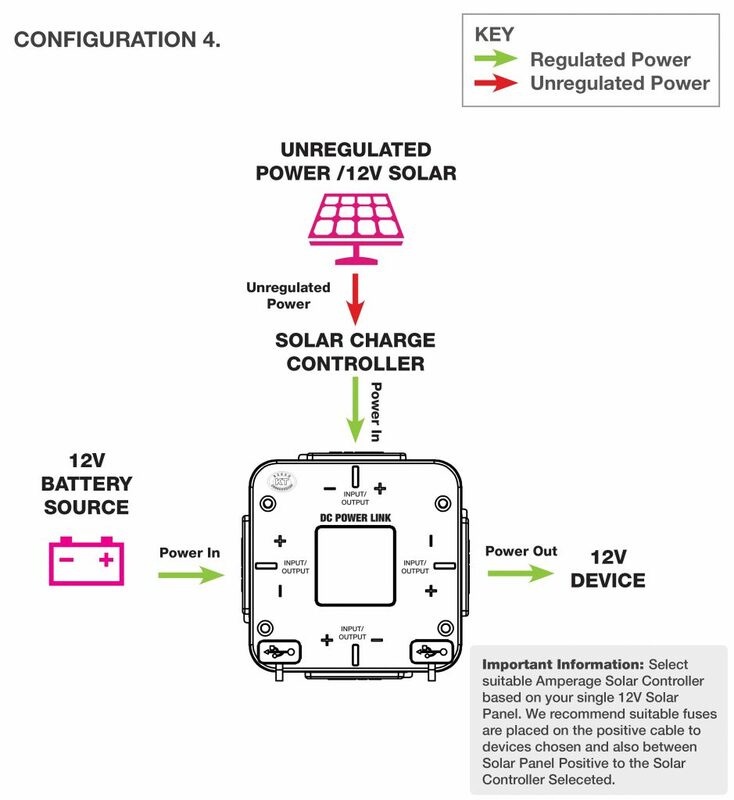 You may be familiar with the traditional ‘Power Distribution Board’ for the home/workplace which is typically a block of electrical sockets allowing multiple electrical devices to be powered from a single power source. The DC Power Link extrapolates upon that concept. The KT 50Amp DC Power Link features 4 Inputs/Outputs which means any of the 4 circuits can be used as an Input or Output. When talking ‘Input’, we are referring to the source of power. 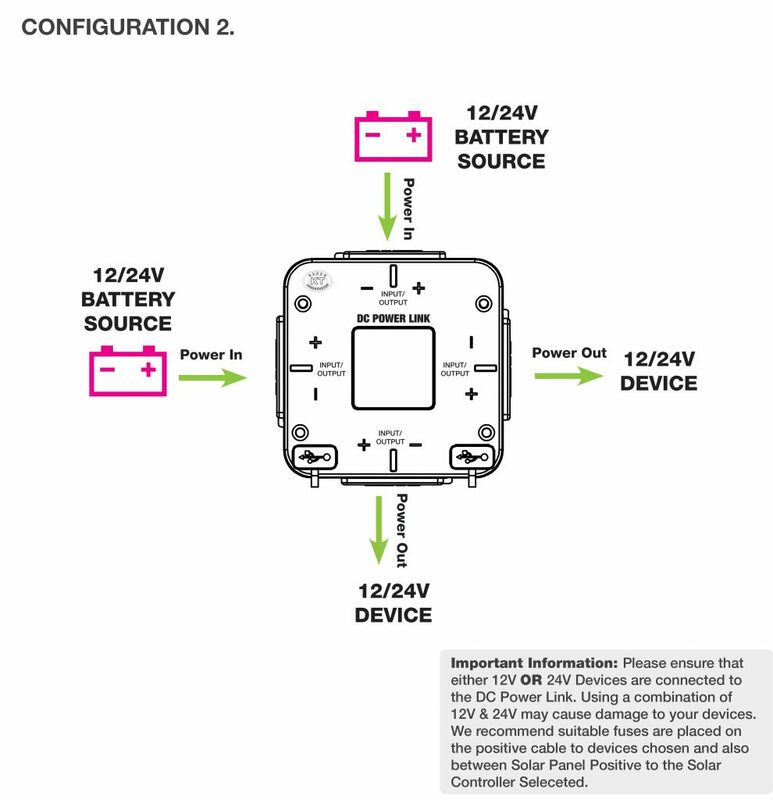 For instance a 12 or 24V Battery. 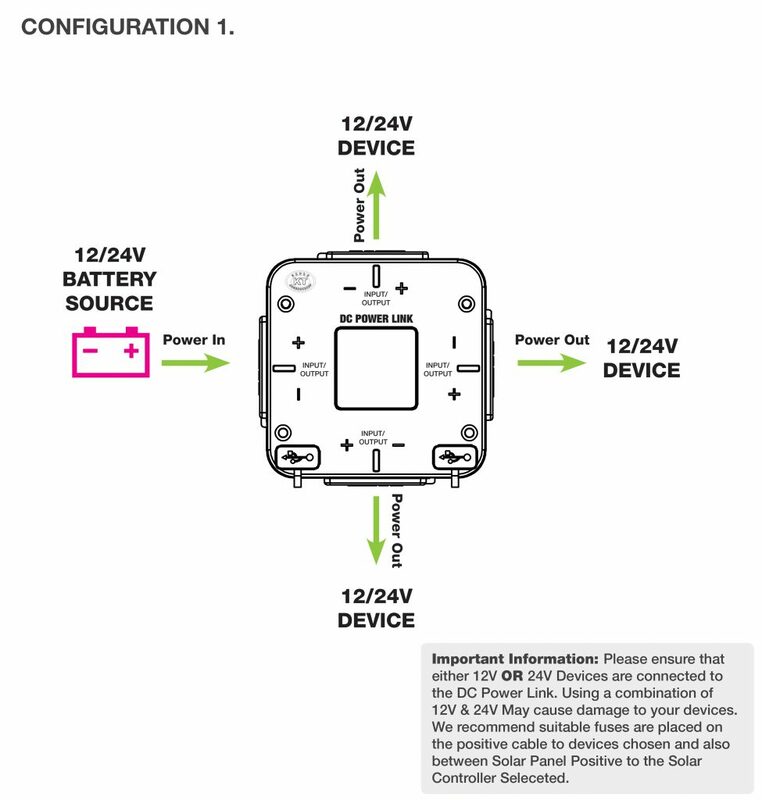 When talking ‘Output’, we are referring to the ‘Loads’ or 12/24V devices that you intend to connect or supply power to from your battery. 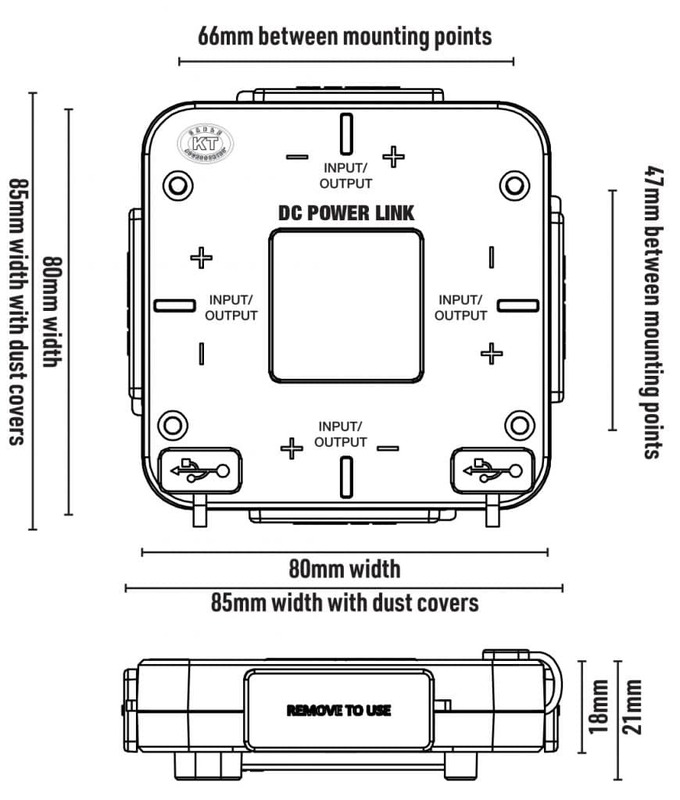 The DC Power Link is designed to connect with Grey, Black, Red and Blue 50Amp Heavy Duty Connectors. 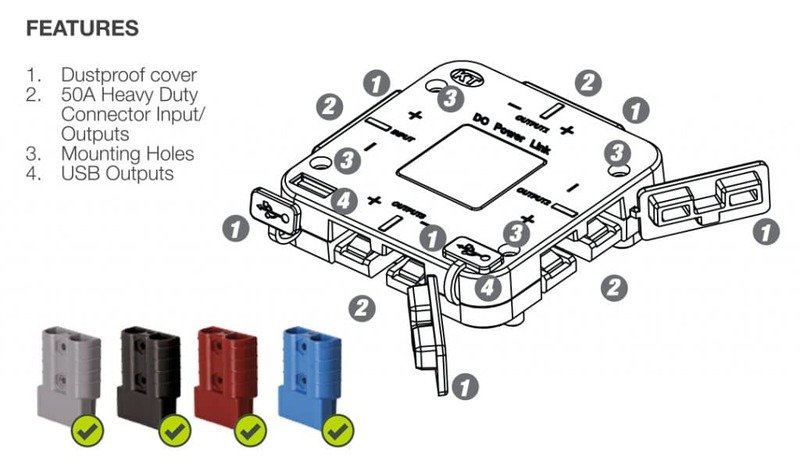 It’s adaptability to all colour connectors allows the DC Power Link to be used with various applications. 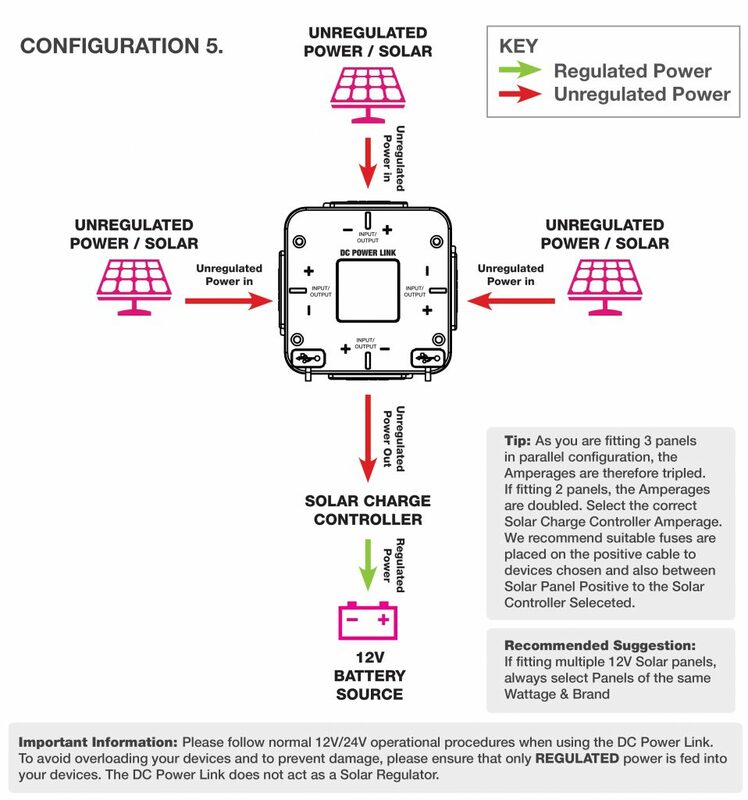 Remove the dustproof cover from the desired ‘input / Output’ socket and connect a device via 50A Heavy Duty Connector. (25A Max per Output, 50A Total). 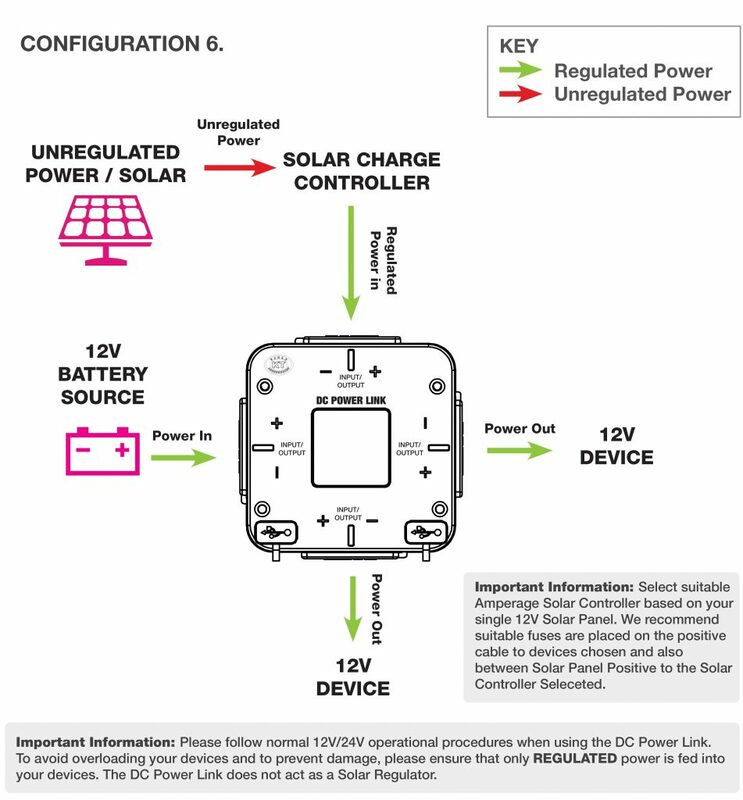 Once ‘input’ is connected, DC Power Link is live. LED’s will indicate ‘live’ power to circuits. 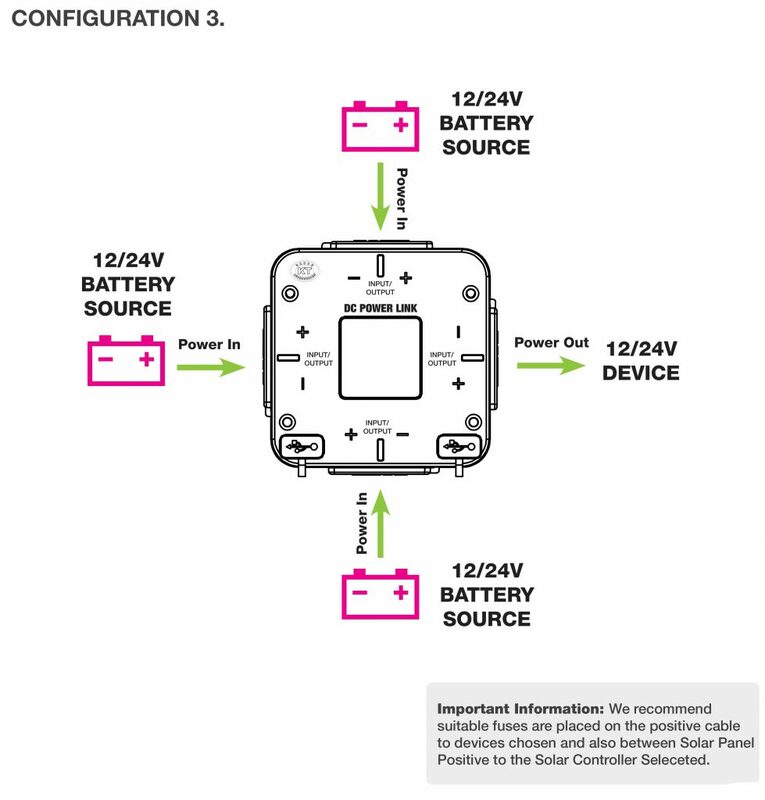 The device can be used in a variety of configurations. Below we show six possible options. WARRANTY AGAINST DEFECTS: Automotive Electrical & 4WD Accessories sell a variety of products, many of which come with a warranty against defects provided by the manufacturer of the product. The product purchased by you is warranted against defects under the terms of the manufacturer’s warranty, if any, displayed on or provided with the product. However, if there is no manufacturer’s warranty or if that warranty does not comply with Australian law, Automotive Electrical & 4WD Accessories provides a warranty against defects for 12 months from the date of purchase on the following terms. TO MAKE A CLAIM EITHER RETURN THE PRODUCT TO THE PLACE OF PURCHASE OR CALL (07) 5540 7877. PROOF OF PURCHASE IS REQUIRED. For valid claims, Automotive Electrical & 4WD Accessories will replace the product free of charge. The warranty excludes defects from after sale damage, neglect, abuse or incorrect installation. You bear all transportation costs to and from Automotive Electrical & 4WD Accessories. The Benefits of this warranty are in addition to any other rights and remedies available at law. Our goods come with guarantees that cannot be excluded under the Australian Consumer Law. You are entitled to a replacement or refund for a major failure and for compensation for any other reasonably foreseeable loss or damage. You are also entitled to have the goods repaired or replaced if the goods fail to be of acceptable quality.